Some scientists are taking issue with BP's statement that a containment cap placed over a gushing well could be capturing "the vast majority" of oil spewing into the Gulf of Mexico. They suggest it's misleading, if not irresponsible, to make such a statement when the company has acknowledged it doesn't know how much oil is flowing from the busted well, or how much the spill rate has increased since engineers cut a riser pipe so it could properly fit the containment cap. "I don’t see that as being a credible claim," said Steve Wereley, associate professor of mechanical engineering at Purdue University and a member of the Flow Rate Technical Group, a national panel of scientists and engineers tasked with determining the spill size. "What I would say to BP is, show the American public the before and after shots of the evidence on which they’re basing that claim," Werely told msnbc.com on Tuesday. "I do not know how BP can make that assertion when they don’t know how much oil is escaping. I would say that statement is their hope and aspiration," added Ira Leifer, a researcher in the Marine Science Institute at the University of California Santa Barbara who is also a member of the flow-rate panel. On Sunday, BP Chief Executive Tony Hayward told the BBC that he believed the cap was likely to capture "the majority, probably the vast majority" of the oil gushing from the well. Asked in the interview if he was being overoptimistic, Hayward responded: "I think there's no doubt that it has been difficult to predict because all of this is a first. Every piece of this implementation is the first time it's been done in 5,000 feet of water, a mile beneath the sea surface." On Tuesday, BP said the containment device captured 14,800 barrels of oil the previous day, the highest capture rate yet since the system was installed last week. The company said Hayward's statement was totally consistent with the official spill estimates to date. "We've always said it was an estimate and there's uncertainty attached to that whatever estimate you choose to go with," said John Pack, a BP spokesman in Houston. "But it wouldn't change the nature of our response, which is to firstly stop what's going on in the subs, to contain the oil and collect it, and protect the shoreline and clean it up." Leifer said based on the data he's seen so far, the rate of flow from the broken well has increase since the initial April 20 explosion at the Deepwater Horizon rig, which killed 11 workers. He believes BP's decision last week to sever the well's damaged riser pipe in order to install the containment cap has increased the flow by far more than the 20 percent BP and government officials had predicted. In fact, Leifer says, the well may be spewing what BP had called before the spill its worst-case scenario — as much as 100,000 barrels a day from a freely flowing pipe. He said he's seen no evidence from BP to date that would be inconsistent from that dire scenario. Judging by live undersea videos, "it looks like a freely flowing pipe," Leifer said. "From what it looks like right now it suggests to me they’re capturing a negligible fraction." It's unclear how much oil is still escaping because scientists don't have access to enough data and the video feeds show a "disorganized cloud" of oil shooting out of open vents in the containment cap and between the riser and the cap, Wereley said. "It’s very difficult to judge flow rates from these multiple sources," he said. "My position is that the claims (of capturing the 'vast majority' of oil) cannot be made because the flow is too complicated." BP announced plans recently to swap out the current cap with a bigger one next month that can capture more oil. "They continue to optimize production," Coast Guard Admiral Thad Allen, the government's point man for the spill response, told reporters. But he cautioned: "I have never said this is going well. We're throwing everything at it that we've got. 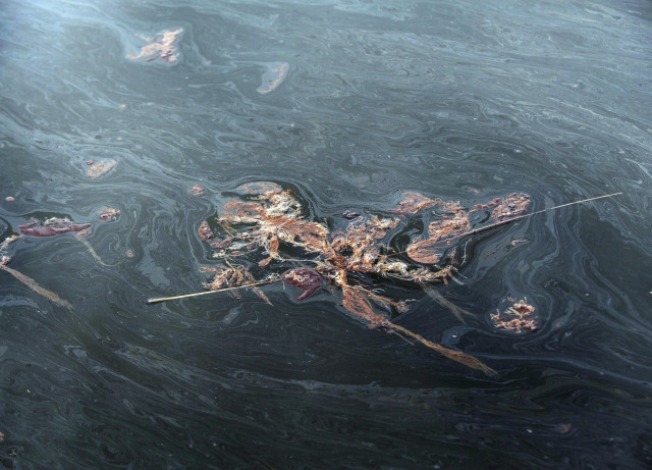 I've said time and time again that nothing good happens when oil is on the water." The Flow Rate Technical Group is working on an estimate of the amount of oil spewing from the cut-off riser and could have a number by the end of the week if it gets suitable data from BP. Meantime, any statement on the proportion of oil being captured and saved from the Gulf is, like the underwater spill video feeds, murky, said Leifer. "BP is arguing with itself. I’m happy to watch their argument but it would be much nicer if they would let in some scientists to make measurements," he said.